We needed a website to better reflect the changing world of Rhino Linings. Trent Moffatt Designs was contracted to assist in the redevelopment of our site. Trent and his team worked with us in a very professional, but also friendly and approachable manner, making the whole process simple and easy. TMD are to be commended on their expert knowledge, guidance and patience while working with us to reach our goal amid all the requests for changes and unforeseen additions. This project was completed much to our Managing Directors full approval and satisfaction. 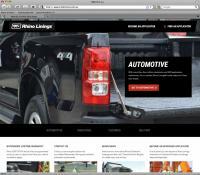 Our new website is now a springboard into the expanding world of Rhino Linings Automotive and Industrial applications. Well done guys! !